An airport hotel I frequent has amazing amenities including high-thread-count sheets, cutting-edge electronics, and a complimentary bottle of wine. The downside: the lights from the airport runway keep me up all night! 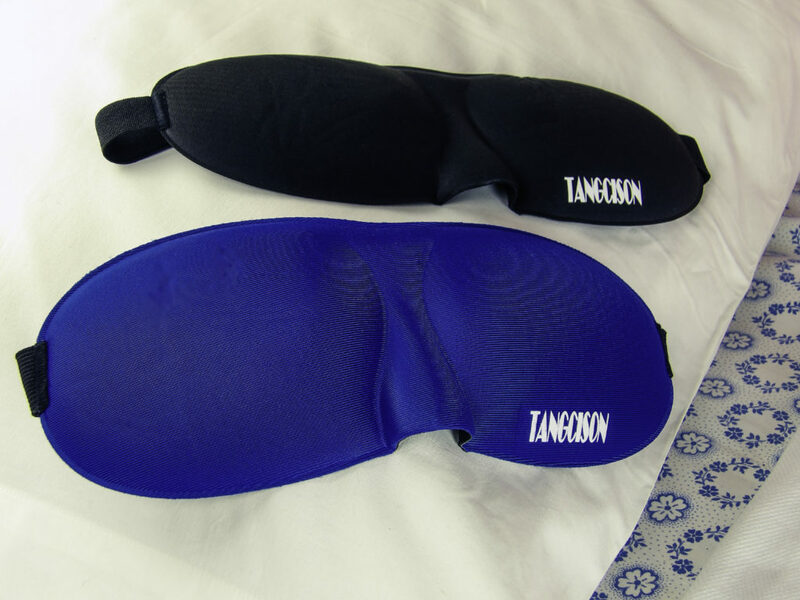 That’s why I was thrilled to try out the TANGCISON Eye Mask Sleep Mask. 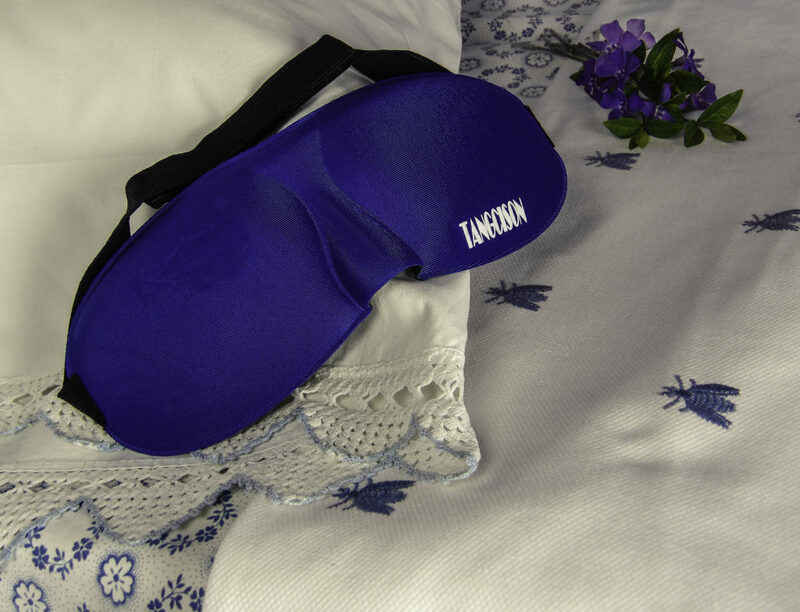 There are two eye sleep masks in this set, one royal blue, one black. 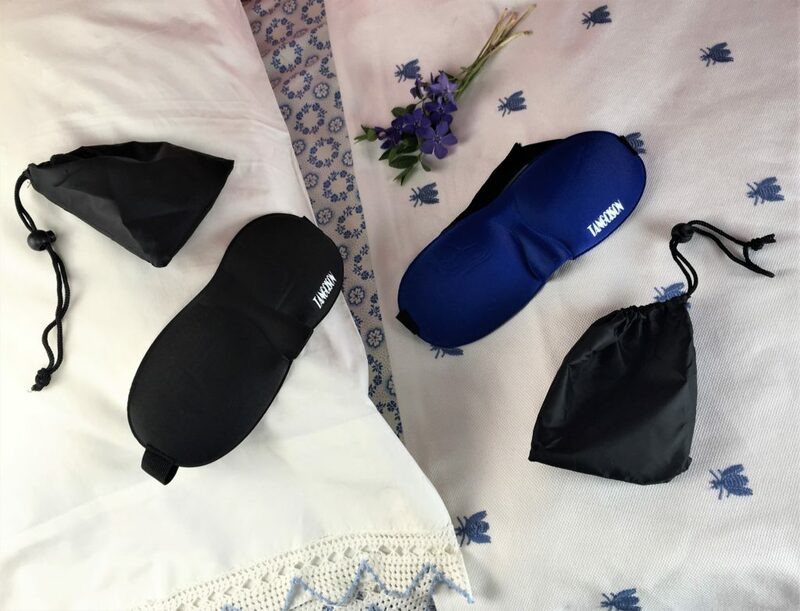 Each eye mask is made of high-density memory foam that consists of bamboo and cotton, so it stays cool all night and is incredibly comfortable, and it completely blocks out the light! 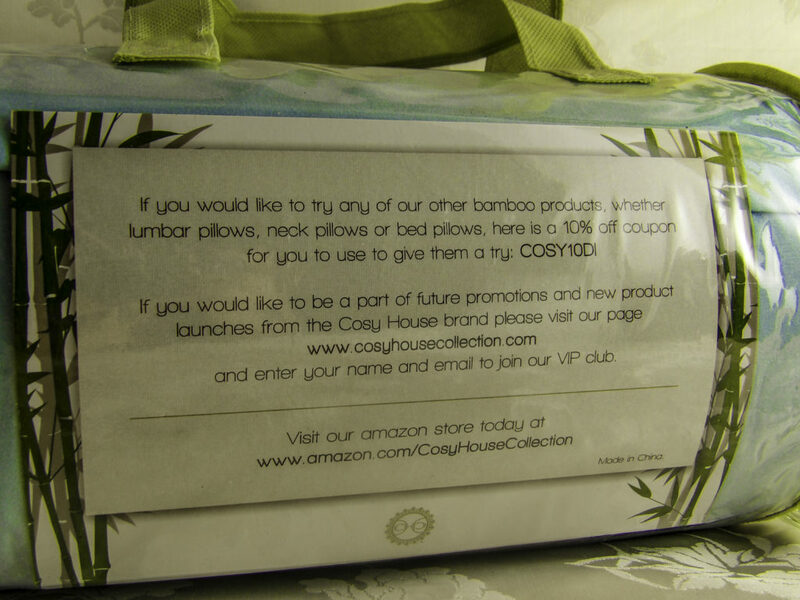 The material combination of cotton and bamboo feels is soft and not at all scratchy to the delicate orbital skin area. 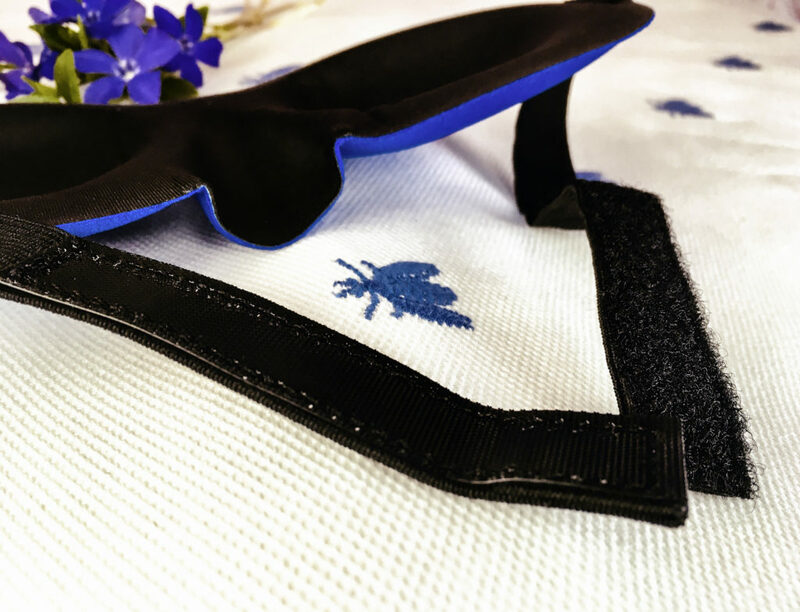 It is breathable so it never feels too heavy on your face, even in warm and sticky weather. 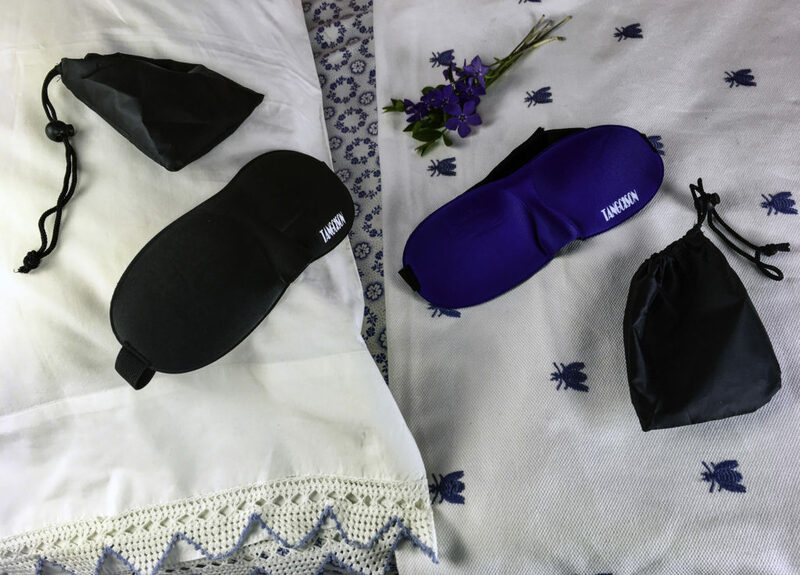 The two Sleeping Masks comes in a lovely drawstring travel pouch that fits easily in my purse or suitcase. Keep one at home and one in your travel bag. 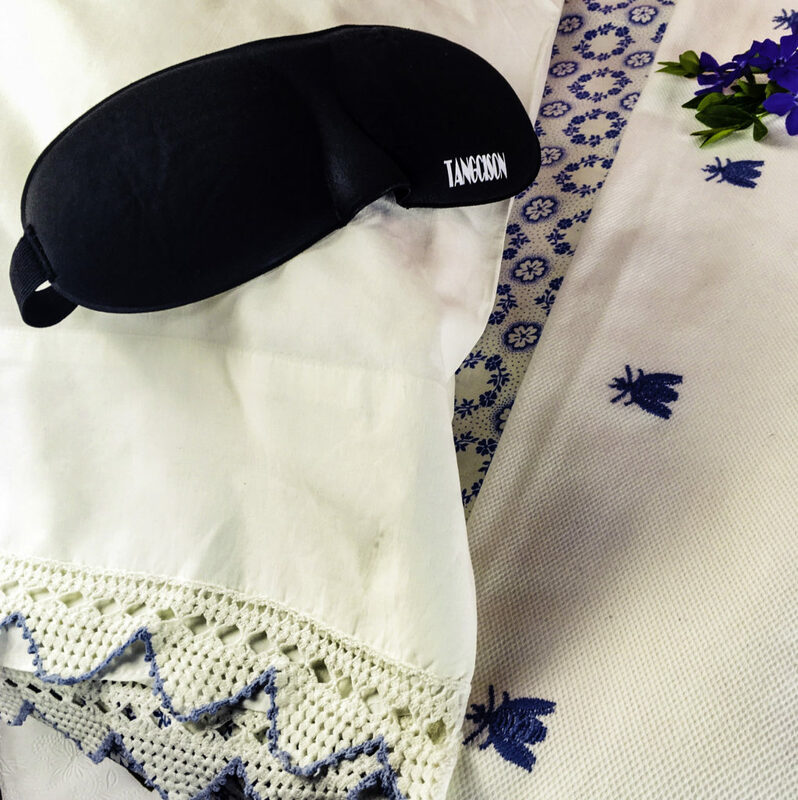 It has a molded 3-D fit so it doesn’t touch my eyes or damage my eyelashes, and it fits gently over the nose without compressing my nose or sinuses. 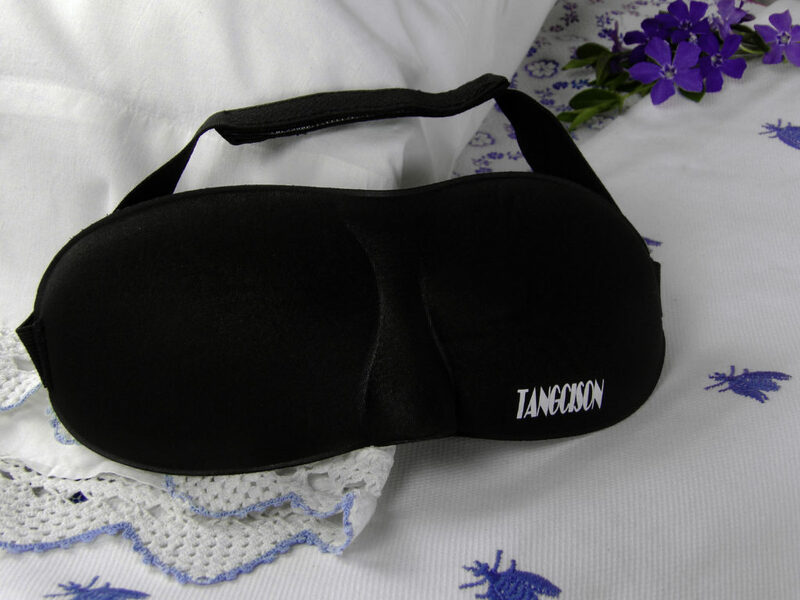 Another perk of the TANGCISION Eye Mask Sleep Mask is the contour of the eye shape allows enough room as not to smear or disturb your eye makeup if you are wearing it while traveling to a destination. 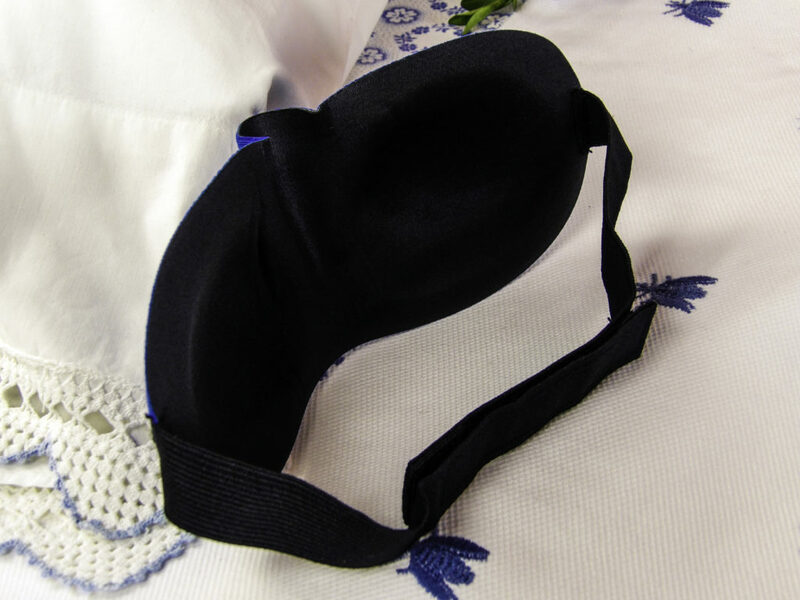 Most sleep masks fit too close to the undereye area to utilize both a sleep mask and an eye cream. Moisturizing skin while traveling is essential, as most trains, planes, and hotels have forced dry air, which dries out the skin faster. 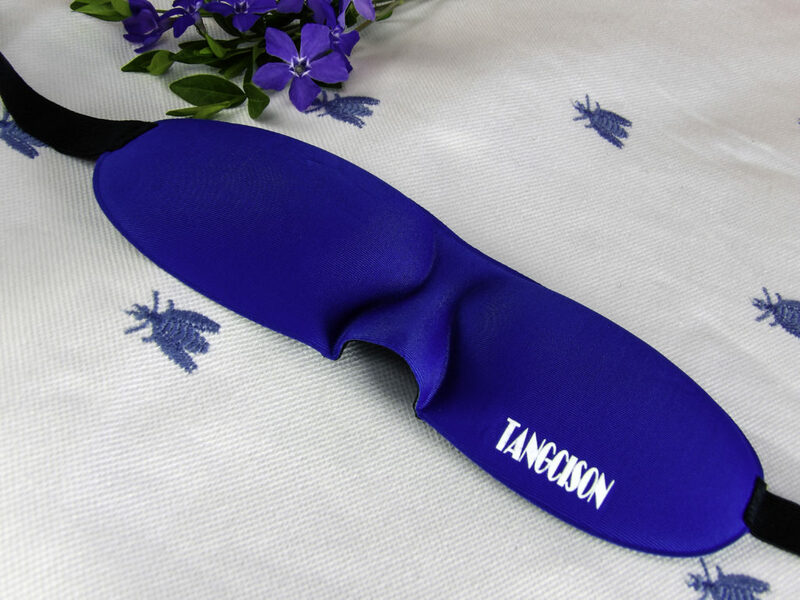 The contour of the TANGCISION Eye Mask Sleep Mask allows your orbital eye area plenty of room if you use treatment serums, topicals or other eye creams at night or while traveling, and these creams will not get on your sleep mask or transfer onto your pillow. Another advantage is blocking our creams and serums you wish to keep away from the eye area while you sleep. 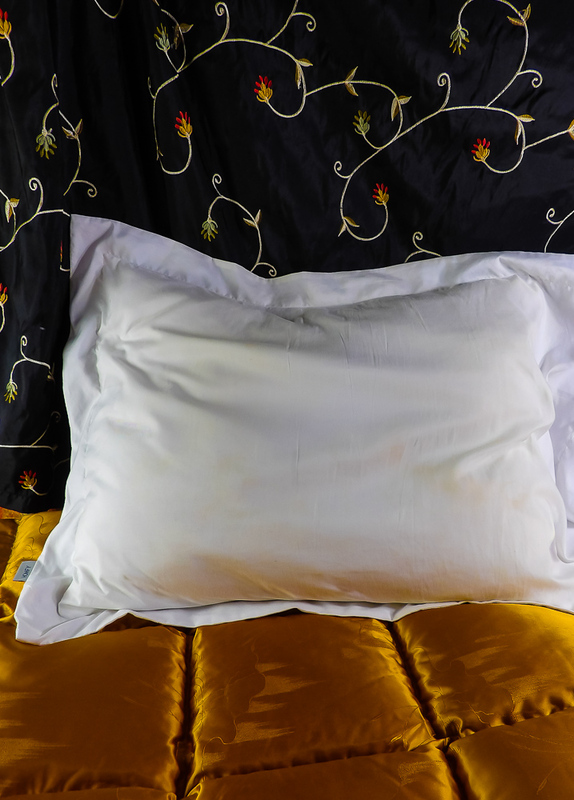 These include eye irritants such as lightening creams or acne medications that tend to rub off onto our pillows and then around the eye area as we sleep. 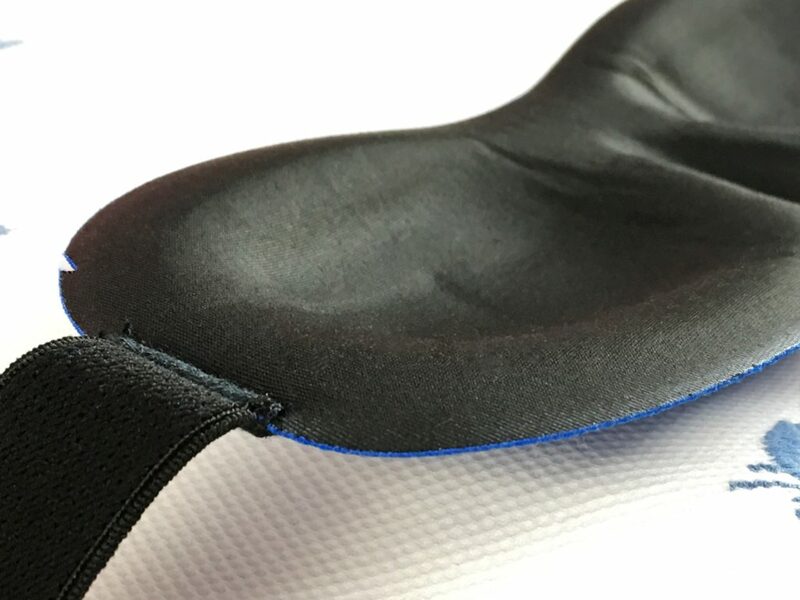 This will not happen with this eye mask. 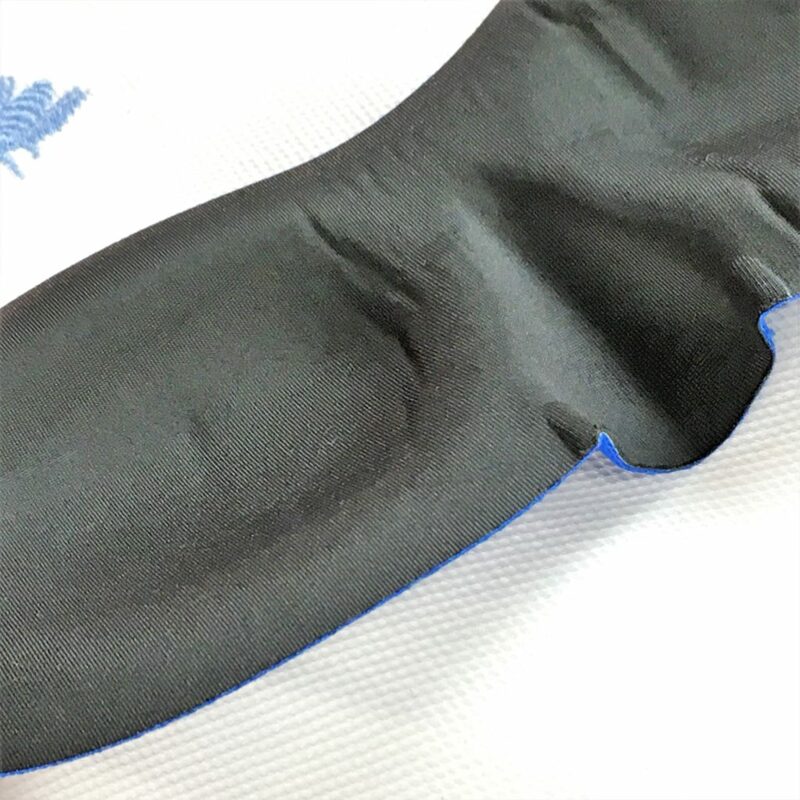 Alternatively, if you choose to use an under eye gel patches or silicone pads on your under eyes, such as those made for dark circles while you catch a few winks mid-day or during the night, this sleep mask is large enough to accommodate them but it also will not slip around on your face, so your eye treatment pads or patches will stay in place. 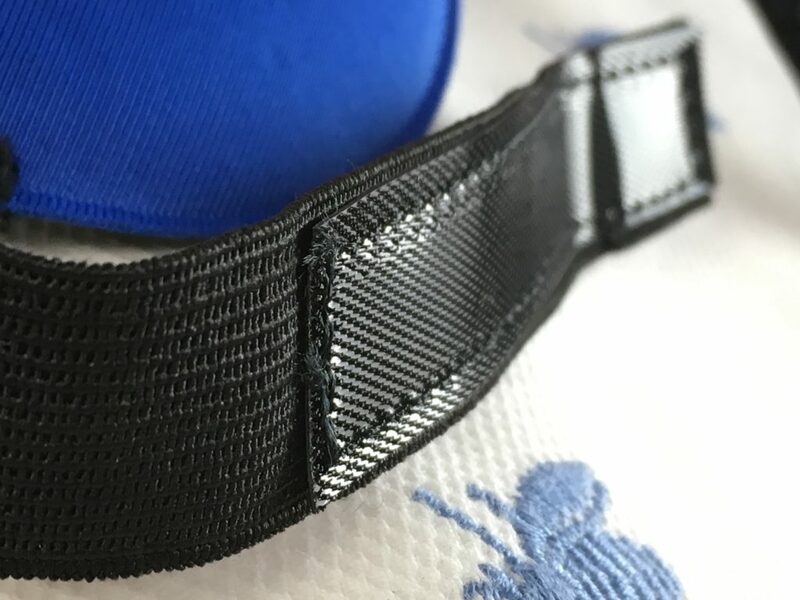 I love the adjustable velcro strap so I can get the perfect fit to my head! Not too tight, not too loose, and it does not leave an indent “bump” mark on my hair in the morning. 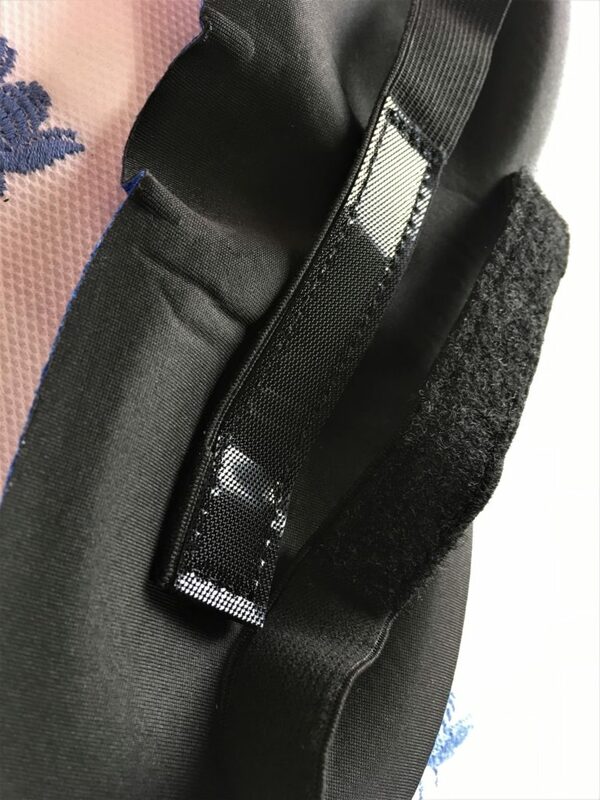 The velcro is made of a special material so that the “teeth” do not catch hair, which is a huge perk for getting comfortable sleep. The straps do not slip. 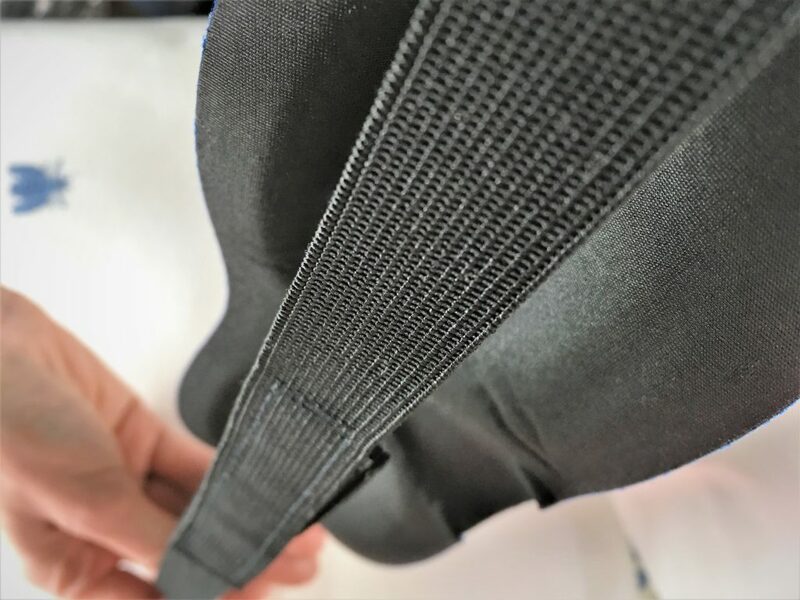 The velcro is also very stretchy and durable. 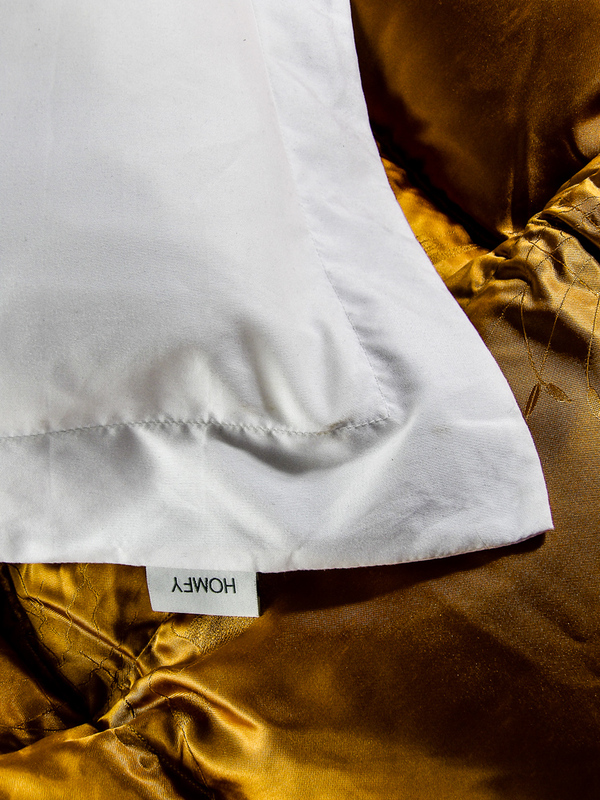 No product can beat what good beauty sleep can do. 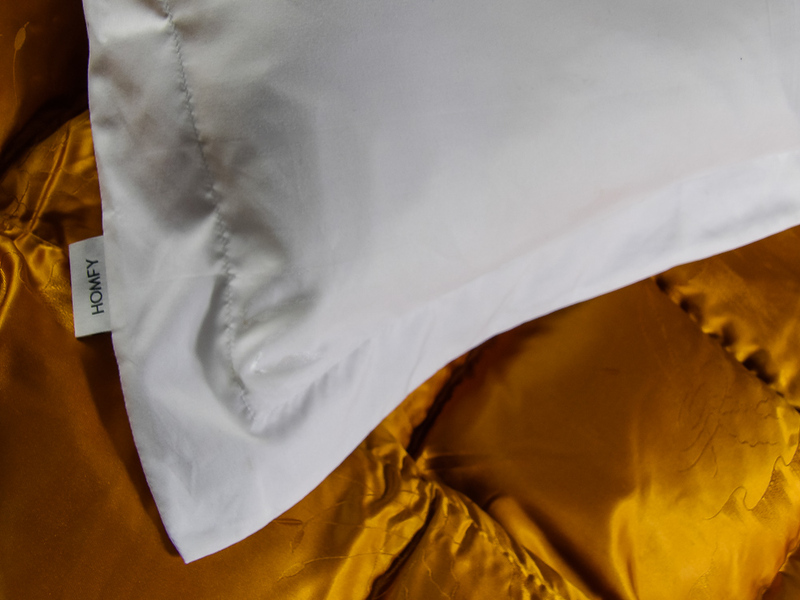 Make sure you look and feel the best you can by making the most of your sleep whether you are at home or away or even traveling to your destination on an overnight flight or catching a few extra winks on your morning train commute. 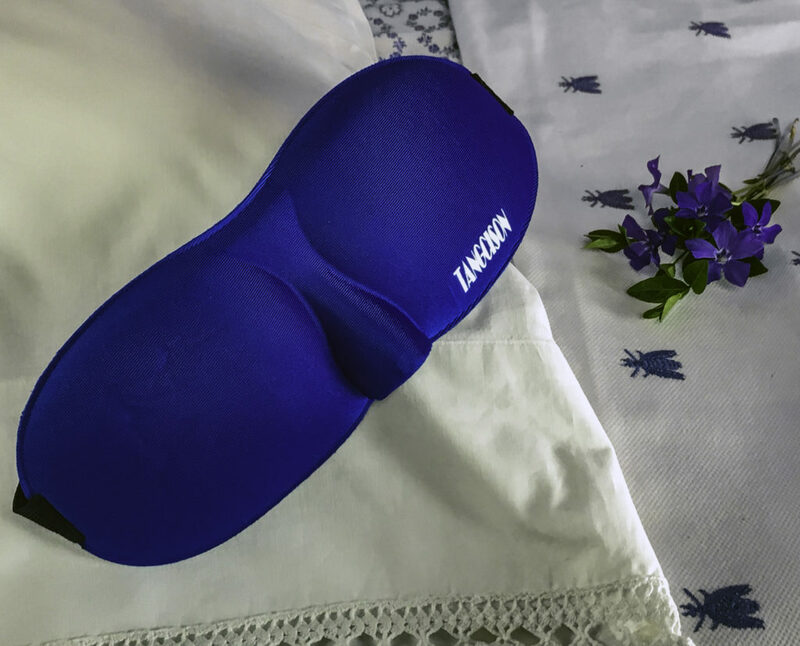 The TANGCISON Eye Mask Sleep Mask Set comes with two comfortable, breathable cotton and bamboo fabric in an innovative 3D contoured shape that is not only comfortable but allows you to keep your makeup by day or eye creams by night in place without smudging onto the sleep mask itself. 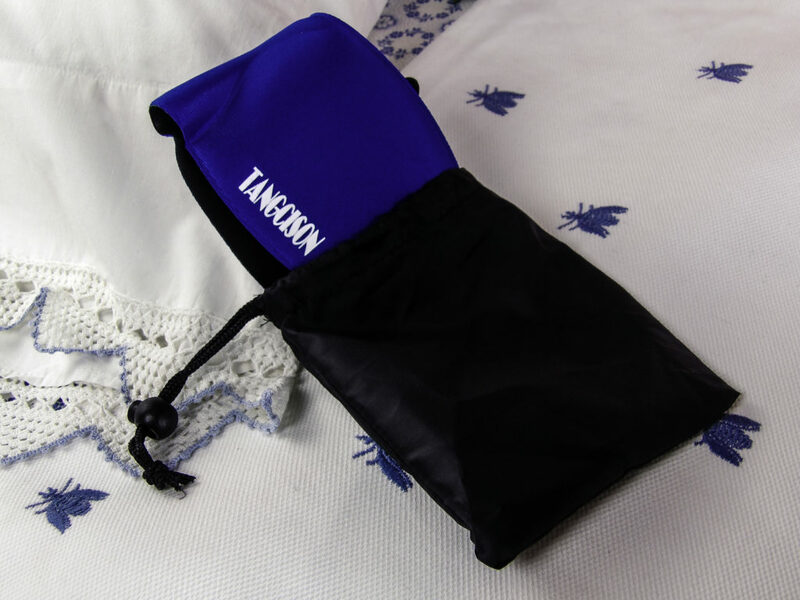 The set of two masks each have their own drawstring bag so you can use them anywhere. 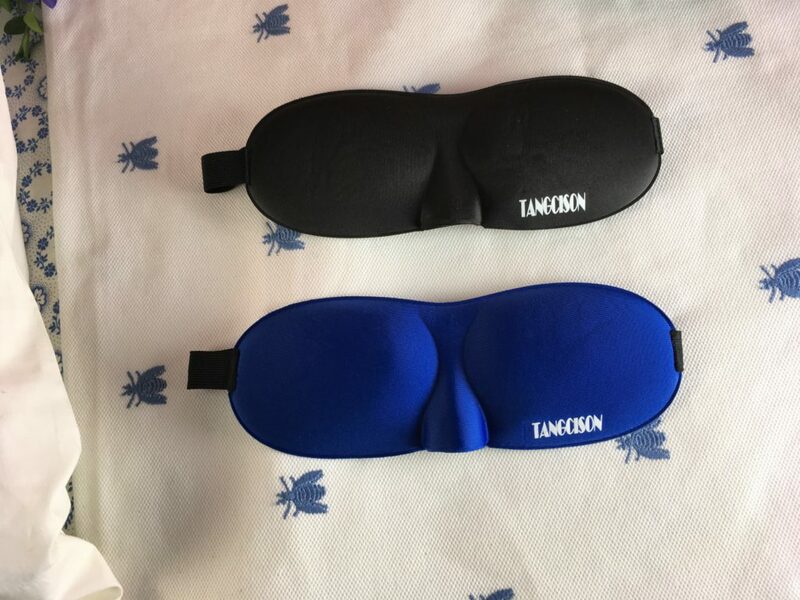 We received the TANGCISON Eye Mask Sleep Mask Set in exchange for our unbiased review and received compensation for our time and effort. However, our experience with the product and the opinions expressed in this review are 100% ours. Sleepless nights are a big beauty problem. If you can’t get enough sleep, skin quickly looks lackluster and dull. The eyes are bloodshot with dark undereye circles. It’s bad enough to be sluggish, cranky, drowsy and in a mental fog, but sleep deprivation can have serious risks. 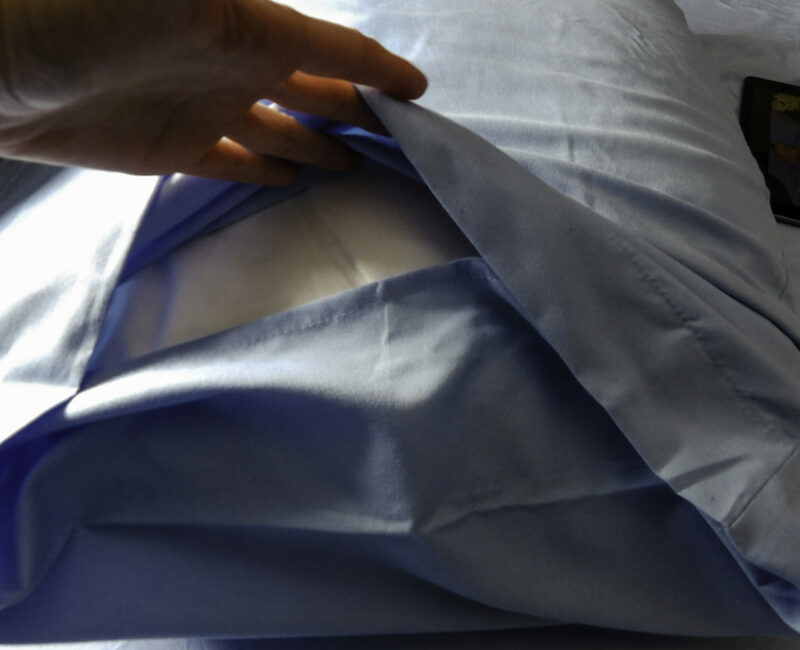 Despite health (and beauty) risks, many are reluctant to resort to prescription sleep aids, and with good reason. But Avinol PM has come up with an effective sleep aid containing natural, safe ingredients that you likely regularly ingest in food and drink. When these ingredients are combined, they make for an effective sleep-enabling cocktail. We’ve all been there: work, stress, sickness, or for some other reason, we just can’t get to sleep. We wake up sluggish the next day, and you’d think you could easily get to sleep the next night, but somehow, the bad sleep pattern continues. Many of us reach for common remedies, such as a glass of warm milk or tea, but when these don’t work, we may seek an over the counter remedy, and for many of us, that remedy is preferably a natural one, or at least a non-addictive one. But just because something is natural doesn’t automatically mean it is safe. Many of the ingredients in Avinol PM and Avinol Extra Strength are probably familiar and consumed in other foods you regularly eat. You may notice these foods relax you or even make you a bit sleepy. When combined together, even in small dosages, they enable much better sleep. 5-HTP is an amino acid from tryptophan, the stuff in turkey that makes you sleepy. I was fuzzy on what exactly 5-HTP was, but it turns out tryptophan is in plenty of foods including cheddar and swiss cheese, fish, lean meats, poultry, peanuts and peanut butter, soy products, turnips, collard greens, sunflower seeds, and roast pork. The body synthesizes tryptophan to 5-HTP and triggers the body’s melatonin production. If someone isn’t sleeping, generally this tryptophan amino acid is in short supply, making one’s “internal clock” feel off, leading to feeling sleepy in the day, wide awake and wired at night. Have you experienced that? If so, 5-HTP can help. In layperson terms, the end result is 5-HTP does two things: first, it signals the body to stop working and being wide awake like it is daytime and tells it to prepare to go to sleep soon. Second, it cues the Melatonin. Melatonin is a brain produced, naturally occurring substance in the body that cues the feeling of being sleepy. Melatonin is available at natural health food stores, but it is difficult to regulate when taken alone, and without 5-HTP telling your body it is time to sleep, it may be useless. 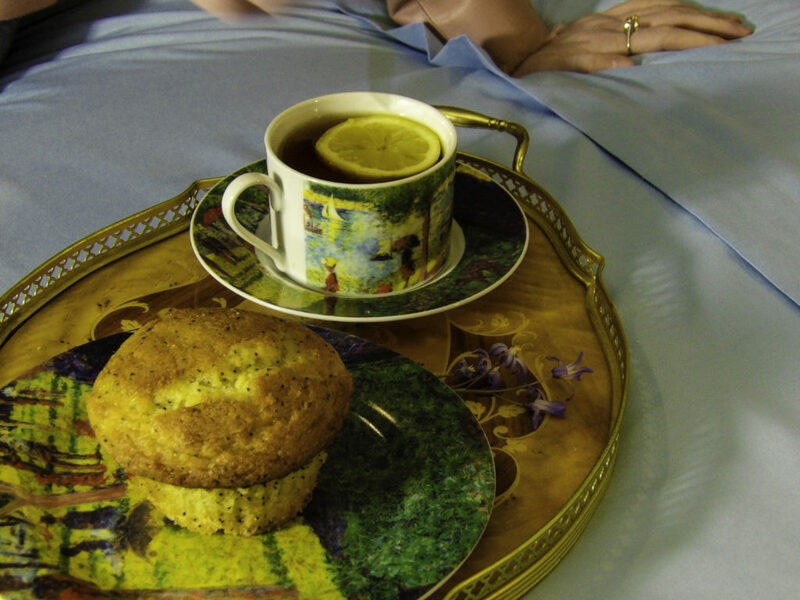 But when paired with the right ingredients, it can effectively emulate the body’s own sleep triggers. If your body hasn’t had enough 5-HTP, it doesn’t have enough Melatonin, which is why it is helpful taken together. Chamomile has long been known to be a relaxing herbal remedy, most commonly consumed as a cup of tea to promote relaxation and restful sleep. Hops are a flower that is the flavoring and stability agent in beer. They impart the beers bitter, zesty, or citric flavors. 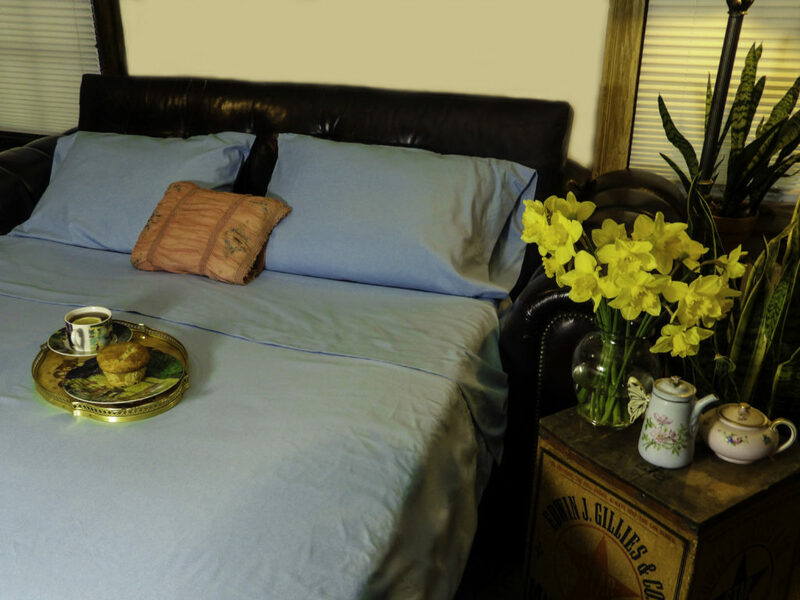 Hops have been used as a sleep aid due to their somewhat sedative effect. The sedative effect of hops can be seen from the relaxing sensation experienced when drinking a non-alcoholic beer. For the naysayers on the merits of hops alone, not the beer’s alcohol content creating relaxation, there are studies (see The sedative effects of hops (Humulus lupulus), a component of beer, on the activity/rest rhythm by L. Franco). The important takeaway is that hops alone aid in relaxation and sleep without the hangover from alcohol. Lemon Balm is a flowering herb added into beauty preparations, drinks, teas, candies, ice cream and even desserts. It is a common flavoring in fish dishes and lemon balm pesto. It has a has a minty taste and lemony smell. 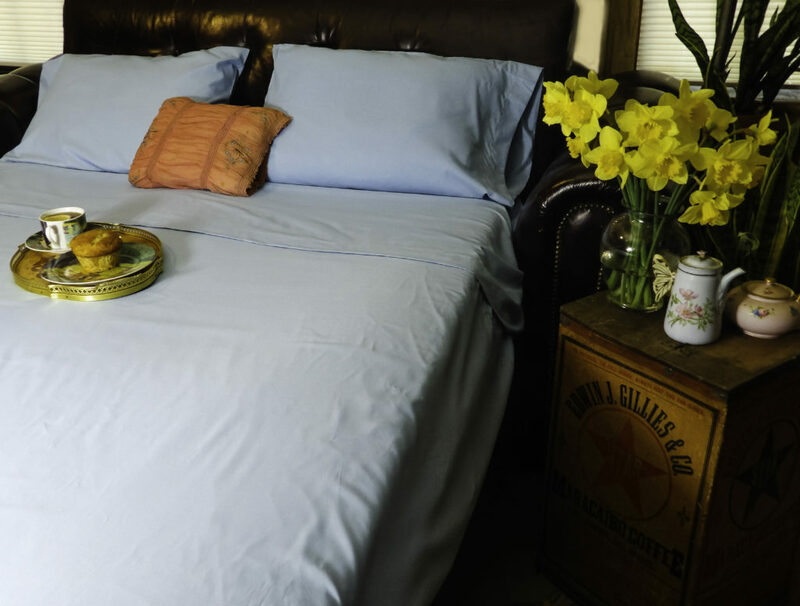 Used in aromatherapy, it has a long history in alternative medicine as a sleep aid. Passion Flower Powder contains Chrysin. Chrysin is a flavonoid found in honeycombs, some mushrooms, and in chamomile. Passion Flower tea is used in folk medicine as a sleep-aid tea, taken just before going to bed. 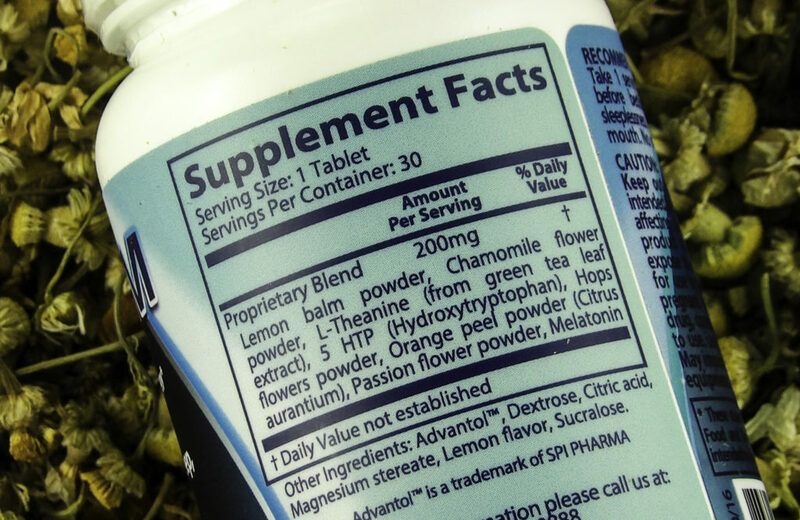 L-Theanine is part of what makes matcha tea a superior cup of green, there is much more L-Theanine in matcha. Also found in green and black teas, and some mushrooms, it behaves chemically very much like lemon balm extract to reduce stress, and promote a mindful state of relaxation. It’s like a relaxing cup of Matcha without the stimulating caffeine properties of matcha before bed. Avinol PM contains L-Theanine from green tea leaf. L-Theanine is best known for being in Matcha Green tea. 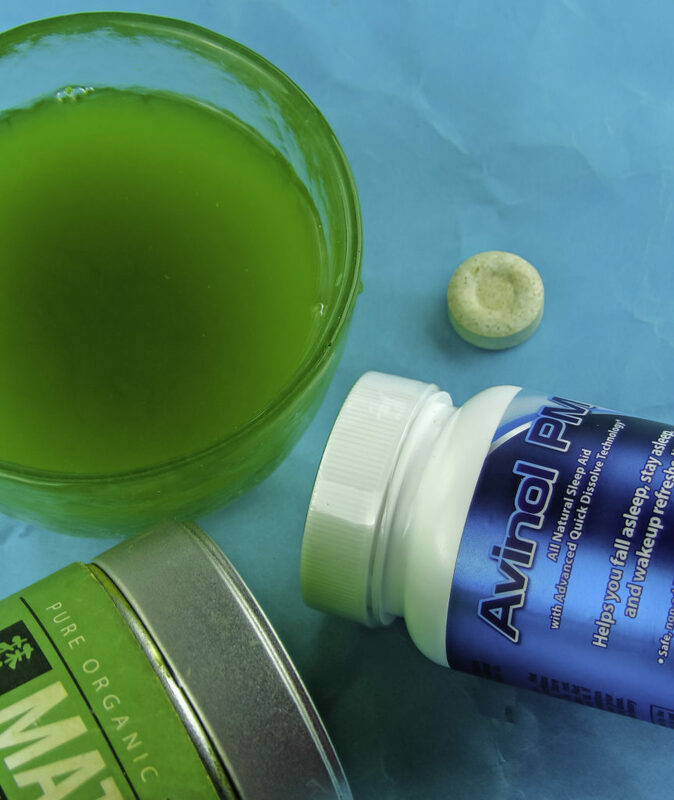 Avinol PM has the relaxing feel of a bedtime cup of Matcha without the stimulating caffeine. Orange Peel, or the zest, is used in numerous foods and drinks for an intense citrusy flavor. If a food, candy or dessert has a notable citrus flavor or a natural orange glazing, it probably contains orange peel zest. Some examples include Orange Chicken, Cranberry Orange Scones, and citrus-based mandarin salad dressings. 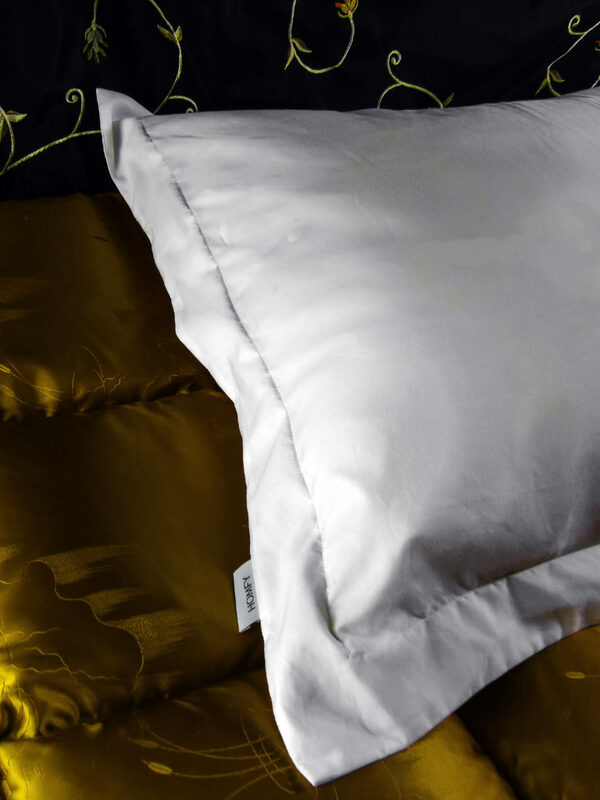 The peel contains enzymes and flavonoids that promote sleep. Did you know the Orange Rind or “zest” that part of the orange peel that is grated off to flavor some of your favorite citrus recipes can make you sleepy? 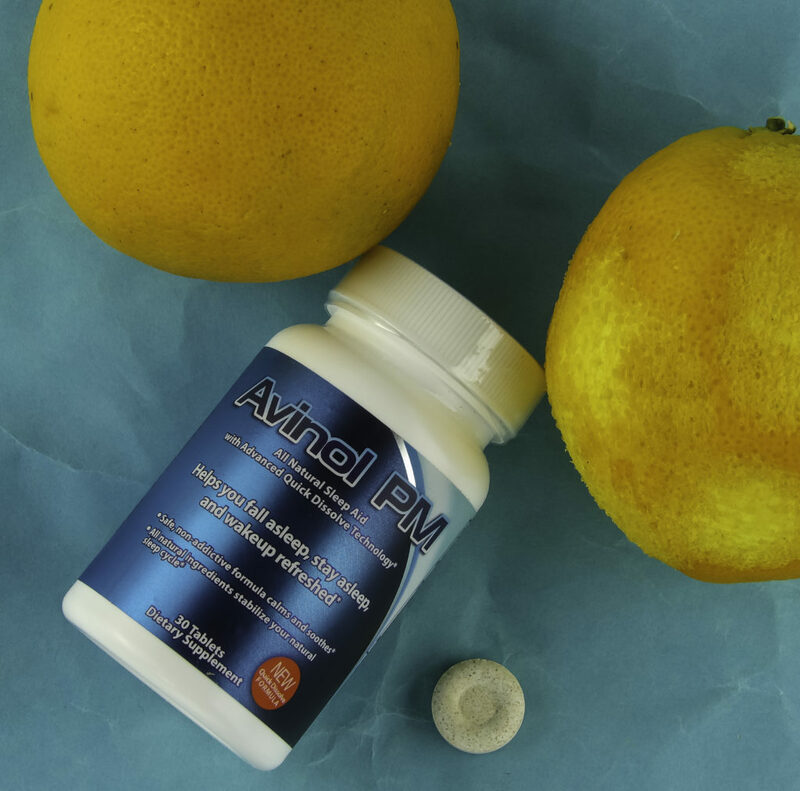 Avinol PM contains Orange Rind to promote sleepiness. Herbs can be as powerful as chemical medications. I prefer that Avinol PM’s 5-HTP is NOT combined with some of the natural remedies seen in some commercial 5-HTP preparations such as Valerian root and St. John’s wort. While these both can be useful for various neuro problems and have helped many people, they are highly potent and, are in my opinion, overreaching for someone who just needs to restore sleep patterns. 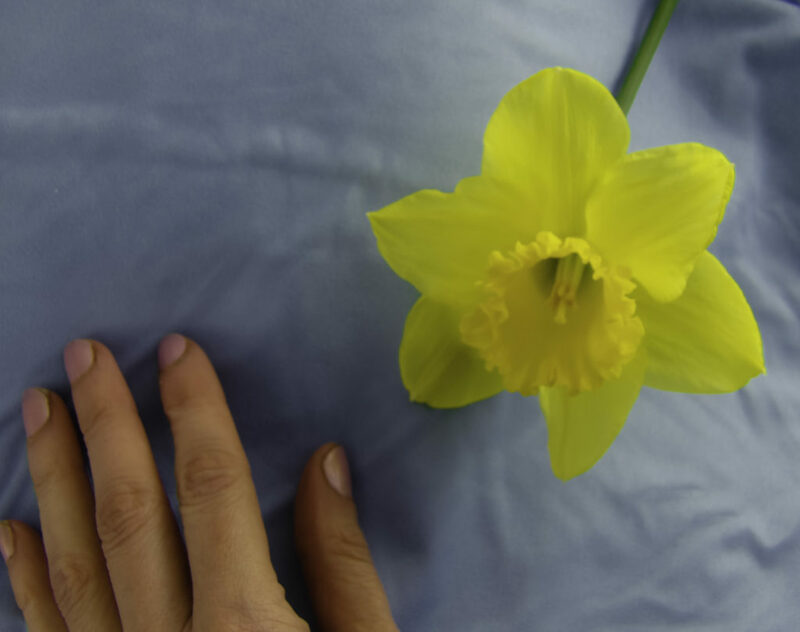 Many of these 5-HTP’s combos that contain other potent herbs like St. John’s Wort are often geared toward someone who has problems with serotonin under-production, not sleep promotion. 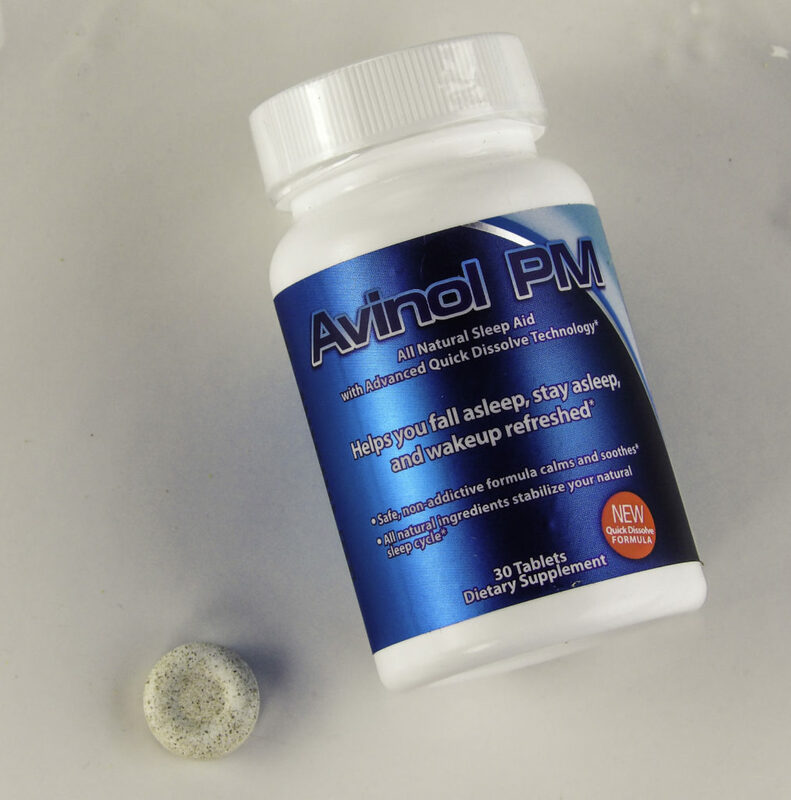 I like that Avinol PM ONLY contains what is necessary to get restful sleep if your sleep issues are relatively straightforward, and that there is a separate, stronger formulation of Avinol PM called Avinol PM Extra Strength for more complex sleep issues when more potent herbs are warranted. 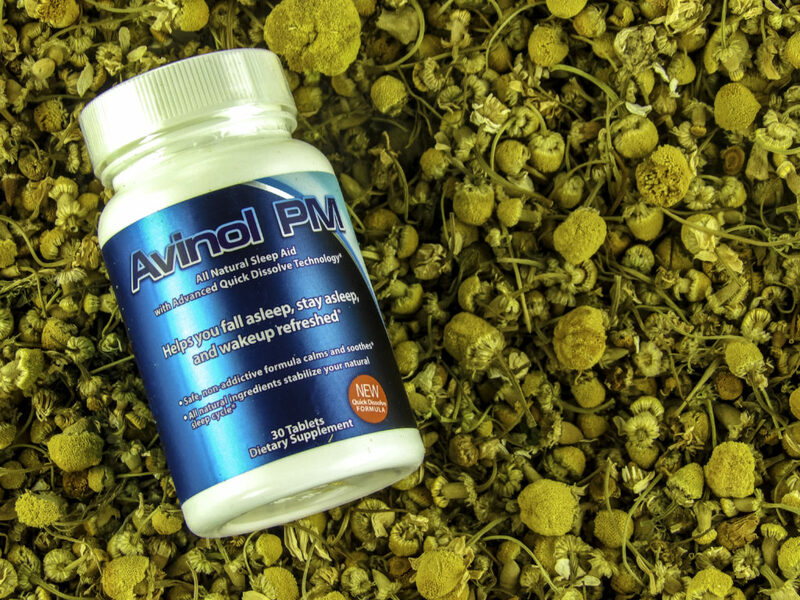 Avinol PM Extra Strength contains all the ingredients of Avinol PM, plus Valerian Root and GABA. Valerian Root has been used for centuries for relaxation, sleep, and blood pressure regulation. How it works is unclear, but it likely encourages the brain to release GABA and relax, similar to the principle Avinol applies to Melatonin. Valerian Root is considered somewhat comparable to Valium in how it works. How do you know which one to take? 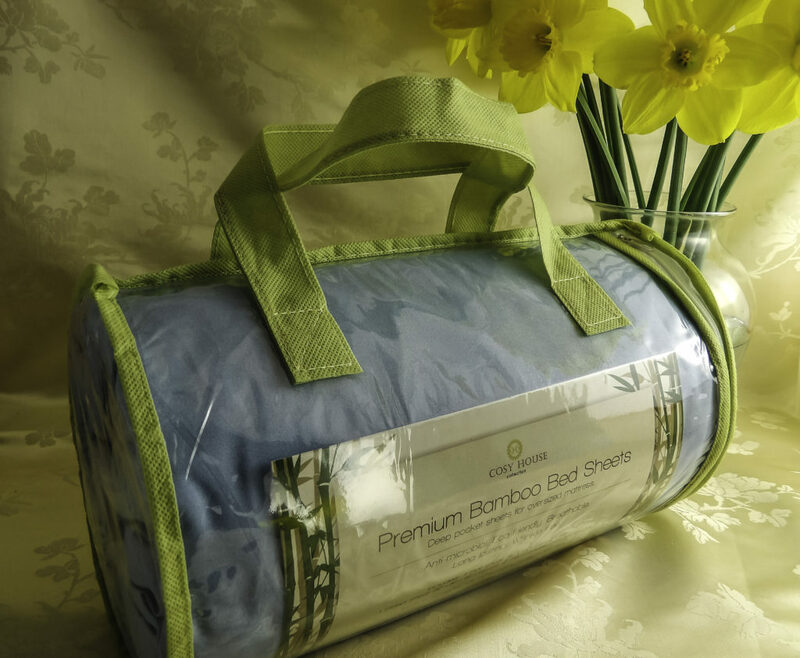 If you already have discussed your sleep issues with your doctor and you know you benefit from Valerian Root due to diagnosed medical problems, Avinol PM Extra Strength is a viable and safer option to consider before resorting to heavily sedating, prescription sleep medicines. 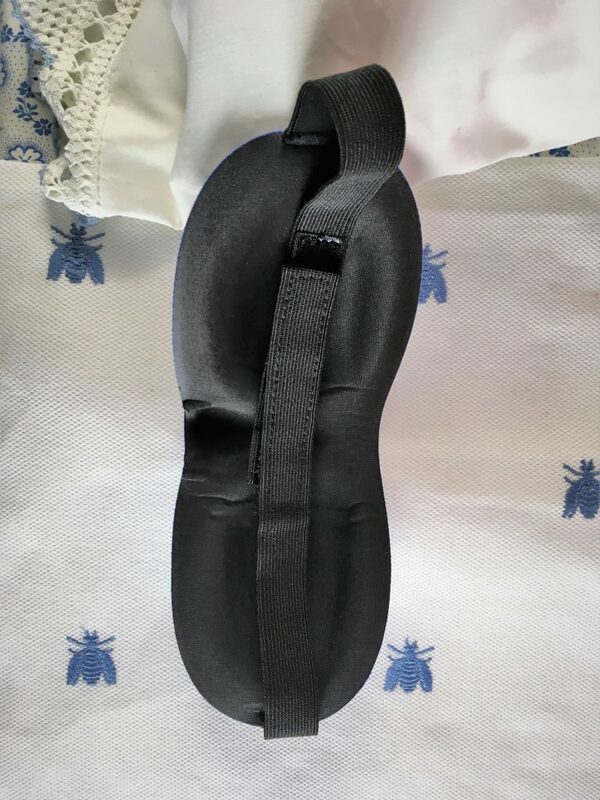 That Avinol has two formulas to distinguish between the simple need to break a bad sleep pattern from the more serious and complicated diagnosed Sleep Dysfunction secondary to a more serious medical issue where prescription sleep aids are often the norm, is a big selling point to me. It makes me more comfortable that what I do take best meets my sleep needs. 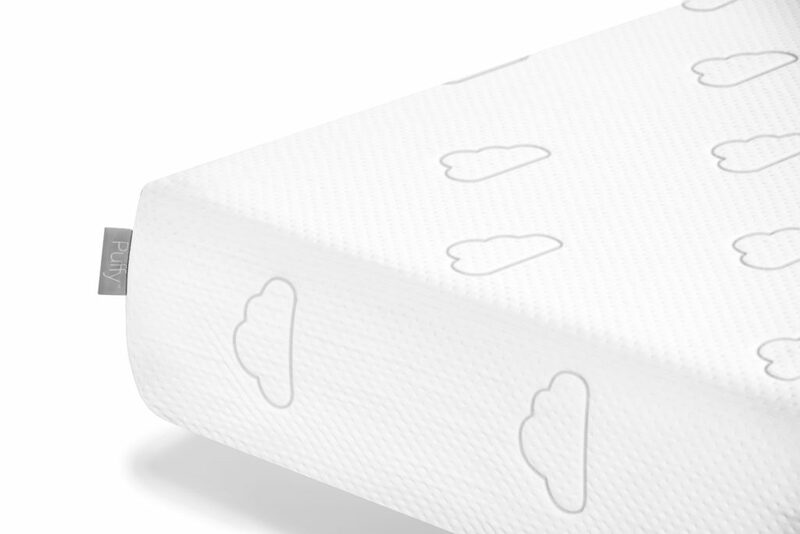 PUTTING AVINOL PM TO THE TEST: HOW DID I SLEEP? 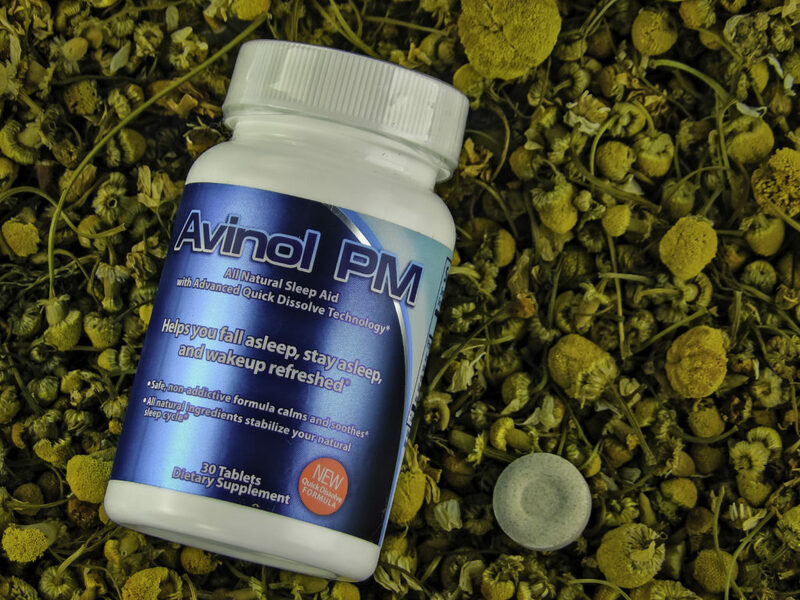 Having researched and felt assured that the ingredients were safe for me personally and no ingredient was addictive, I was ready to give Avinol PM a try. 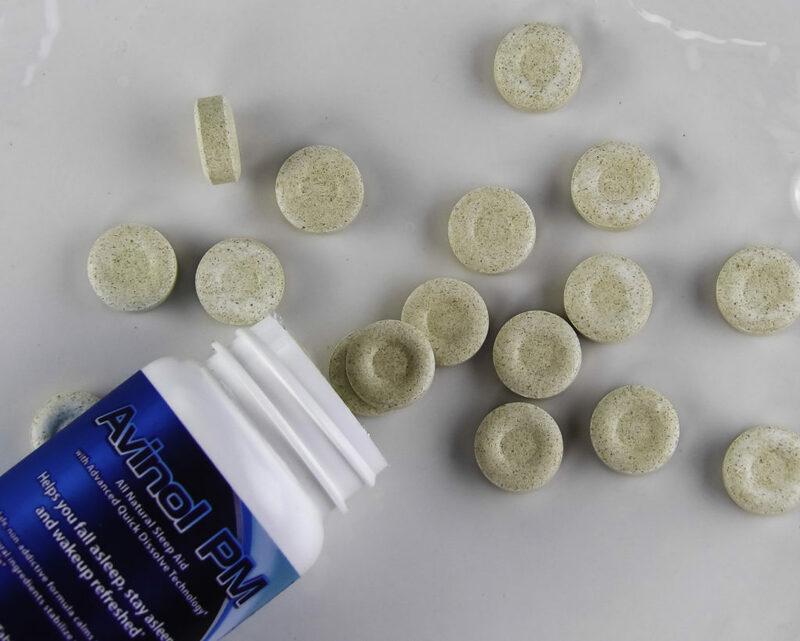 Avinol PM is a single sub-lingual tablet that melts under your tongue just before going to bed. It’s bigger than a dime but smaller than a quarter. 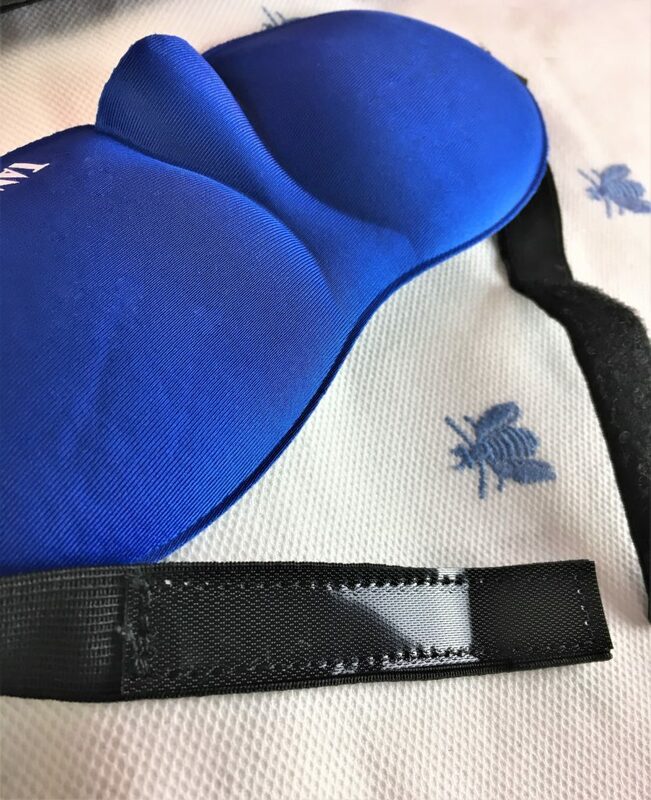 I didn’t experience the side effects that can come with prescription sleep medications, such as grogginess in the morning or excess difficulty waking up and I drifted off to sleep naturally, not feeling like I was knocked out. My sleep felt more natural, which is different than a chemically induced sleep. 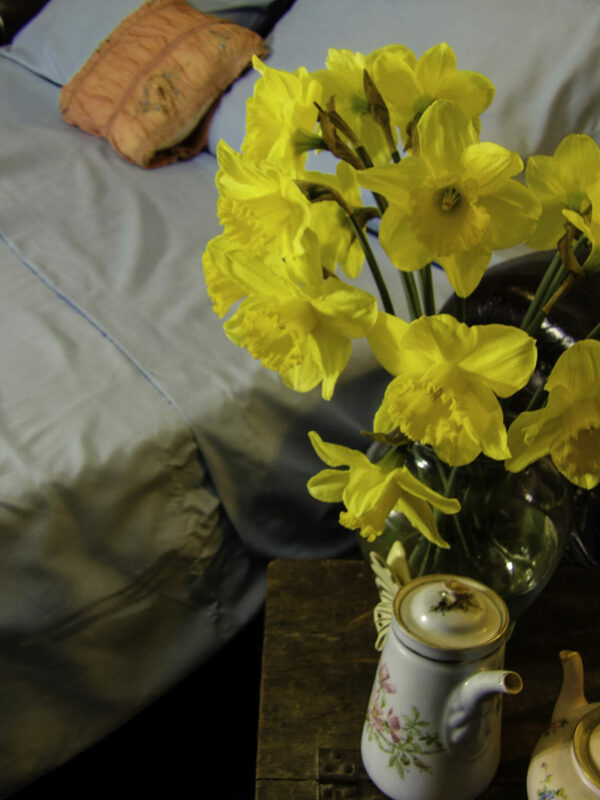 I don’t like the idea of being SO deeply asleep that I could not be easily awoken by my alarm clock or a noise in the house, which was not the kind of sleep that Avinol PM induces. Avinol PM is restful and more normal feeling. I also experienced a more consistent result with Ativol PM than when I have attempted remedies such as melatonin pills alone or drinking a cup of relaxing tea or warm milk before bed. I like the idea of a pre-measured, regulated amount in pill form that ensures helpful levels for steady sleep each night until I restore a sleep pattern back to normal. And I really like the lack of side effects or addictive ingredients. Each bottle contains 30 pills, more than enough to restore better sleep patterns. 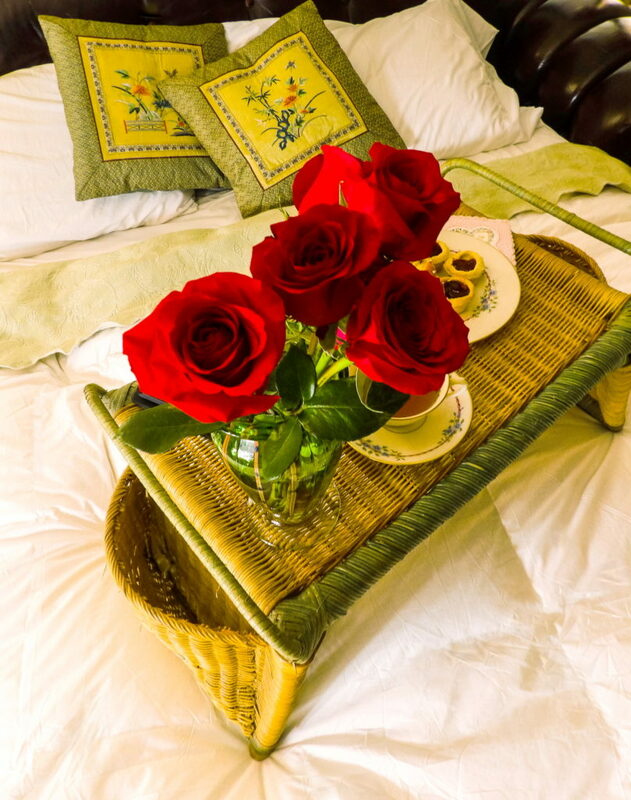 All of us experience bouts of sleepless nights or various reasons. 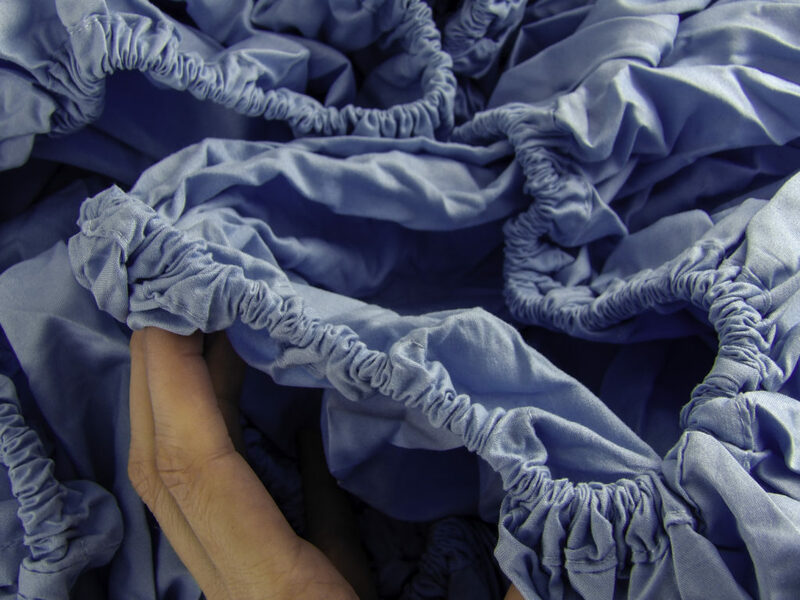 Once a bad sleep pattern starts, it is hard to catch up and reset the brain back to normal sleep rhythms. 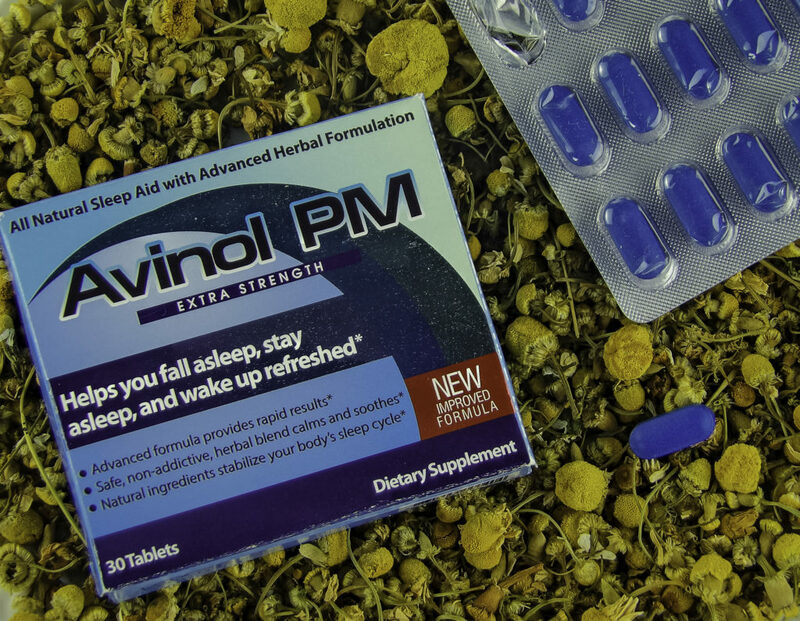 For whatever reason one does not wish to take a prescription sleep aid, Avinol PM can help restore restful sleep patterns using natural ingredients that are safe, familiar and non-addictive. 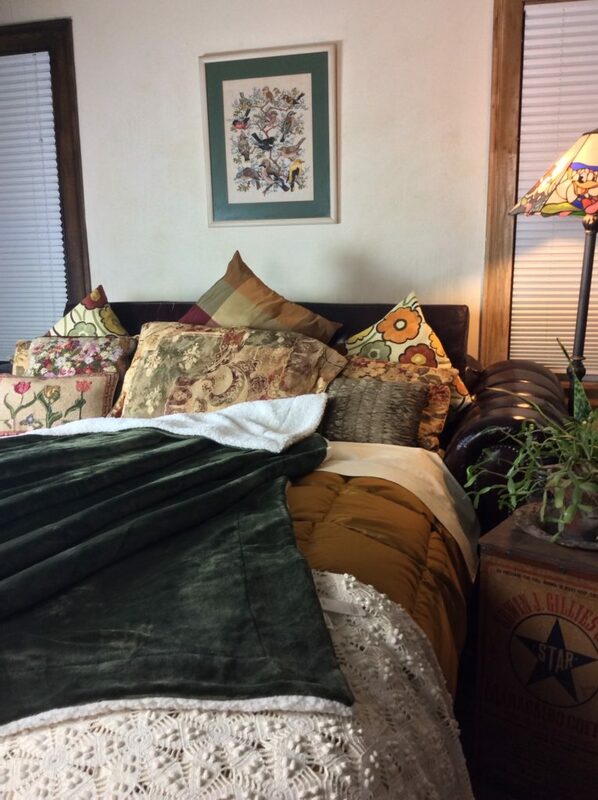 Rest well, Sleeping Beauties! Style Chicks received Avinol PM and Avinol PM Extra Strength in exchange for our unbiased review and received compensation for our time and effort. However, our experience with the product and the opinions expressed in this review are 100% ours.